The Behringer Eurolive B108D active PA speaker delivers excellent, low-distortion power and amazing versatility, thanks to its lightweight and super-compact design. 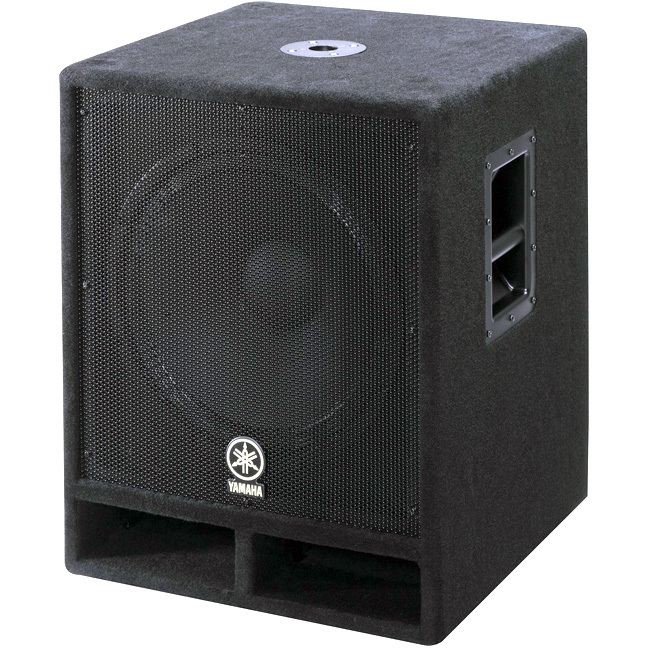 Ideal for live sound, a portable PA, a monitor wedge, and house of worship applications, the B108D gives you the solid bass, crystal-clear high-frequency reproduction, and wide dispersion that you need. 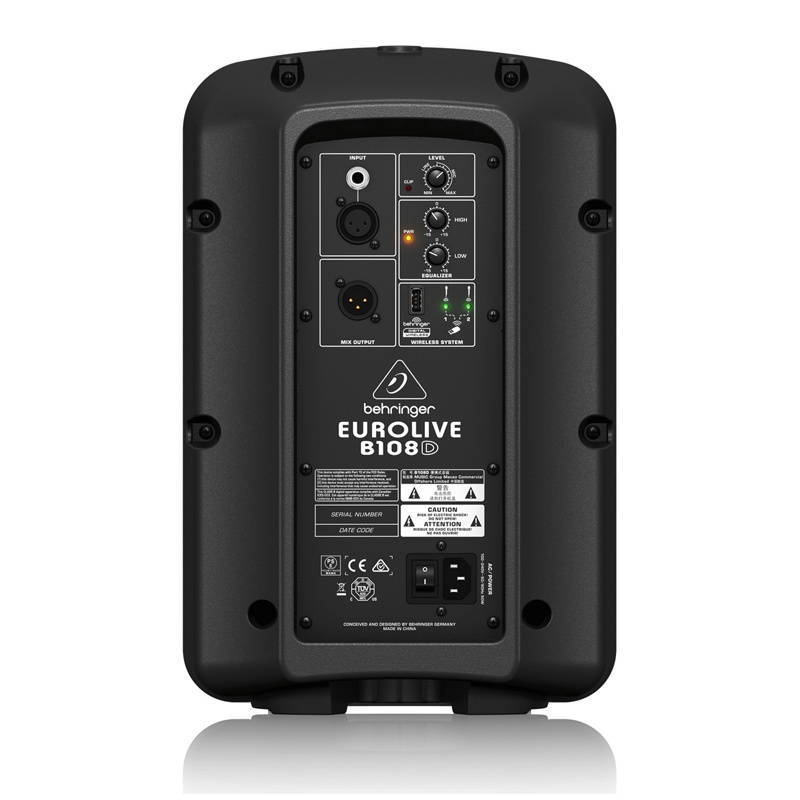 Wireless-ready with plenty of I/O, the B108D gives you the choice of an ultra-low noise mic or line input, as well as an additional line output for connecting multiple speakers. 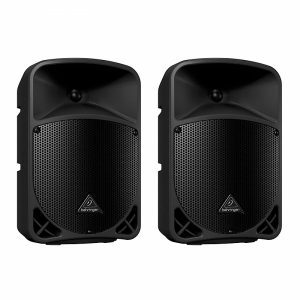 The Behringer Eurolive B108D active PA speaker makes sound reinforcement easy. Our Sales Engineers have put together countless live sound systems over the past three decades. Give us a call, we’ll be glad to help you out! 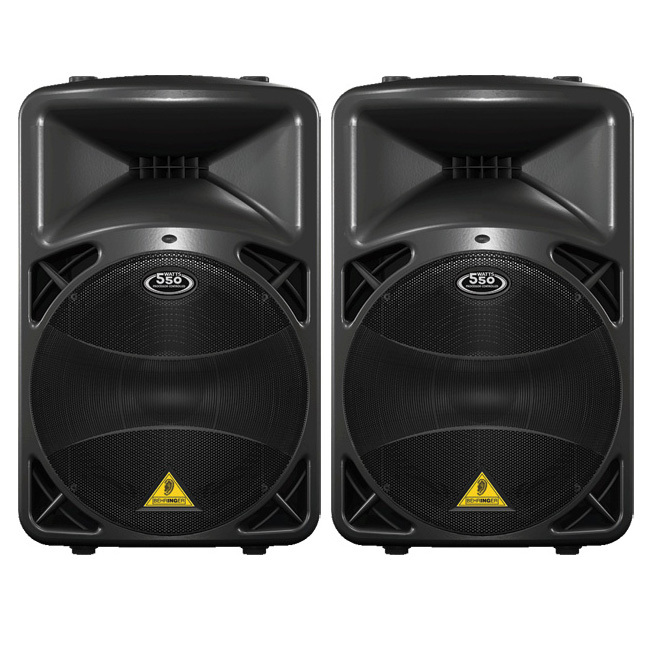 Featuring a powerful 8″ long-excursion low-frequency driver and a 1.35″ aluminum-diaphragm compression driver mounted on an ultra-wide dispersion, large-format exponential horn, the Behringer Eurolive B108D active PA speaker gives you the solid bass, crystal-clear high-frequency reproduction, and wide dispersion you need. Also, thanks to Behringer’s revolutionary Class D amplifier technology, the B108D is able to deliver surprisingly powerful sonic performance in an ultra-portable, ultra-compact package. 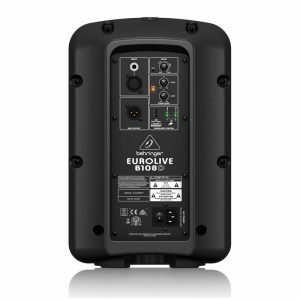 Offering your choice of an ultra-low noise mic or line input with dedicated volume control and clip LED, the Behringer Eurolive B108D active PA speaker can handle just about anything that you throw at it. A dedicated 2-band EQ and integrated sound processor are included for sound shaping, as well as system control and speaker protection. An additional line output allows you to connect multiple speakers. 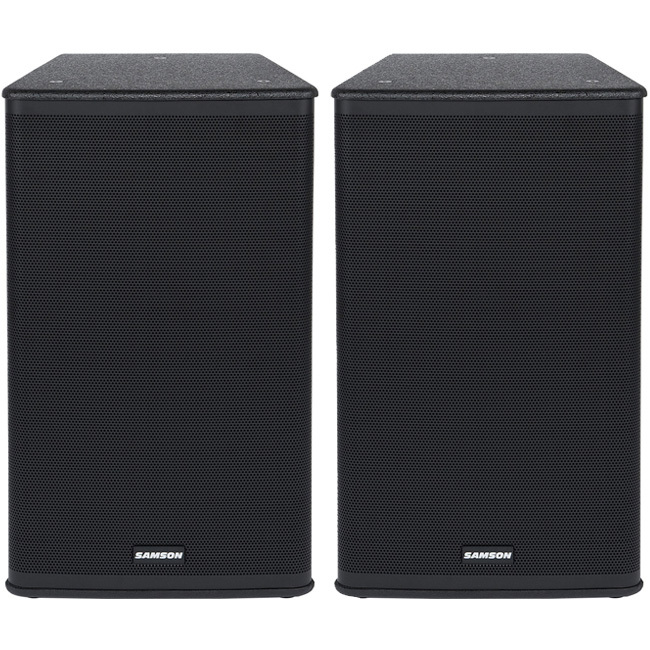 Additionally, the B108D’s built-in connectivity with Ultralink ULM-series wireless systems give you high-quality sound, along with maximum mobility. Just plug in a ULM USB receiver, and you’re ready to go.